Whether you’re an older adult looking for help around the house, or a caregiver/family with an aging loved one, looking into options for senior care can raise numerous questions, many of which you hadn’t even anticipated. These questions can range from the ultra-specific to the more general, but for the individuals and families asking them, they are all important. To help, we have compiled the following list of the most frequently asked questions about senior care. 1. What types of services are available for seniors? Thankfully, there is no shortage of available options for senior care, depending on the level of care required. The options range anywhere from in-home care, in-home health assistance, to the out-of-home long term care options such as assisted living or a nursing home. It is worth noting that aging in-place has certainly become a more popular option for seniors in the past few years. According to the AARP, 90% of adults age 65 and older want to stay in their current home and community as they age. At SameAddress, we strive to help adults that have chosen to age in-home by having the best life possible through comprehensive concierge and in-home care solutions. – $6,000.00 to $11,000.00 a month for a nursing home. In-home care can typically fall within a range anywhere from $100 to $3,000.00 a month, depending on the care and/or concierge services required. For example, pricing will be different if the older adult requires frequent medical attention as opposed to an individual who needs help with home maintenance. 3. Does insurance pay for in-home care or services? Medicare does offer some short-term medical assistance in their policies and some individuals may qualify for Medicaid waiver programs which would cover most medical care and some in-home services. Long-term care insurance and veterans’ programs like Aid and Attendance do cover these services as well, but it is generally a good idea that no matter who you’re using for coverage to check with your policy and your provider. Often times, payment for in-home care services comes from an individual’s income and savings, their friends and family, or a reverse mortgage if needed. 4. Will Mom be safe living at home? Safety is certainly a priority when considering aging in-home an option. A CAPS-certified home assessment should always be included as precursory part of an in-home senior care services package, ensuring that your older loved one is living in the safest possible environment. You may also consider having a qualified Personal Care Aide come as needed throughout the week to help your loved with personal care, transportation or any other household tasks. It’s always a good idea to bring a professional in as part of the team early, providing crucial feedback and guidance in the beginning stages of the aging journey. 5. Should Dad be driving? This can be one of the most difficult transitions for older adults on the aging journey. A good rule of thumb is to always keep an eye on your Dad’s car for dents and marks, and routinely ask him to drive you on short, local errands to the grocery store or bank (if you’re already concerned, we would not recommend a trip that requires a freeway). If Dad shuts down your trip requests, it may be time to consult your family physician regarding his driving capabilities. Consider using a Senior Driving Assessor for an objective 3rd party opinion on whether a loved one can or should drive. Assessors are typically able to help, if necessary, manage any painful conversation with your loved one arising from the results. 6. How can I be sure the person coming to my home is trustworthy? A good list of questions to ask when considering a service are how long have they been in business, do they perform background checks on assistants and caregivers, and are the caregivers insured and bonded? Using these questions, you can start to get a sense of how trustworthy an in-home care provider may be. 7. What do I do if my parents don’t think they need help, but they do? First, remember that it is completely normal for your parents to think that they don’t need assistance or help. Admitting this represents a perceived loss of independence, and their denial plays a major role in warning signs getting ignored. We recommend introducing the topic gently, bringing up the subject of assistance briefly in conversation a few times over the course of months rather than one big lecture which can be seen as an ultimatum. It’s also helpful to bring in a trusted third party to the conversation, whether it be an old friend, someone from their clergy, or a medical professional if need be. 8. When should I talk with my parents about help in the home? You will want to start looking for warning signs, such as unopened mail piling up, expired food in the refrigerator, or any noticeable changes in their mood or awareness. If you are noticing these signs it might be time to consider senior care assistance. 9.Is home care a good option for older people with cognitive issues? It can be. Older adults with cognitive issues can often require special assistance or care, including supervision, specialized communication and management of behavior in moments of confusion. This requires a different type of investment of time and resources. 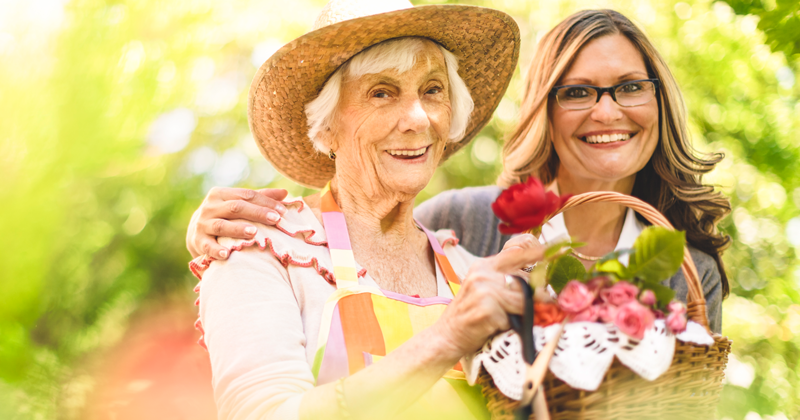 It is a good idea that no matter who you choose for senior care that your loved one has a comprehensive care plan tailored to their specific needs. At SameAddress, we strive to help adults aging at home to have the best life possible, offering comprehensive Concierge and In-Home Care Solutions for seniors and the caregivers that support them. As a Social Enterprise program of the Area Agency on Aging, we provide a better way for older adults to remain safe, comfortable and independent while living and aging at home. Have a specific follow up question? Email us at customercare@sameaddress.com or call us today if you could use assistance: 1-866-SENIOR-1 or 1-248-262-9999.